There are fifty thousand people living in South Korea. But the land itself is very small. the Great Britain and four times smaller than Japan. Its thee worlds 110th smallest country. in this small country and is the 10th economical country. It’s a also a highly ranked country of sports. It’s not hard to find a Korean player in the MLB of U.S or EPL of the Great Britain. South Korea won the 7th place in the Bejing Olympics on the year 2008. South Korea participated in the World cup eight times in a row. There has never been a case when South Korea has not entered the 32nd game in the finals of the World Cup. South Korea had played in the 16th, 8th, 4th game in the match against Japan. European countries such as the Great Britain, Germany and Netherlands. on the year 2002 who is still being loved by numerous soccer fans. who is a player of the great soccer team called the Real Madrid. Korean soccer team chose Ji sung Park as a player of his team called PSV Eindhoven. 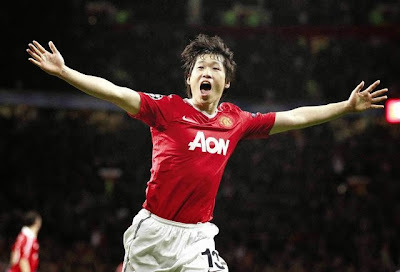 Afterwards, the fans of the team made up a song of praise for Ji sung Park. Manchester United from the year 2005 to June of the year 2012.
which was the first European team he played in nowadays. still echoes all over the Netherlands. South Korea is more fascinated about the World Cup than the Olympics. carried out in the Brazil is tgo ply in the 8th game. As a Korean soccer fan, I wonder if it is a dream which would possible to achieve.